Caro has entered her contestant for this august title and threated to arm wrestle to the ground anyone who disagrees. Devoted as I am to my favorite all-around bookstore, I hereby risk violence at the hands of a Scot to put forward my own candidate. Regular readers of this blog know what a violent bunch the Scots can be, so you can see the depth of my devotion! Caveat: For Caro, a greatest bookshop needs to have medical text books stacked to the ceiling. My candidate does have medical books, but they do not have a ceiling-height collection of Gray’s Anatomy. 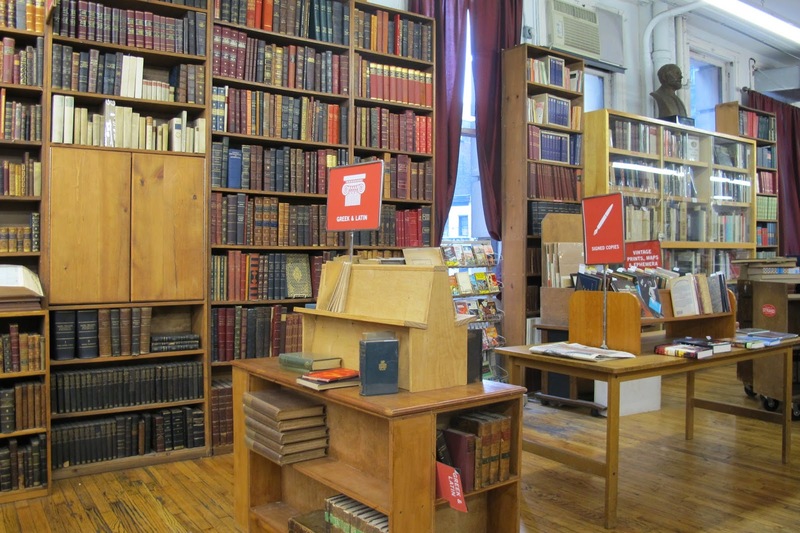 That said, ladies and gentlemen, I say The Strand Bookstore is the best bookshop in the whole world. The Strand is not the largest. Not the most elegant in architecture. And certainly not the most expensive. You cannot buy anything to eat or drink in it. What it has is books. LOTS of them. And a staff that will walk you to the book you want. The Strand was founded in 1927 on Fourth Avenue in Manhattan. The location was then the New York equivalent of Charing Cross Road. In a six-block stretch there were forty-eight bookshops. 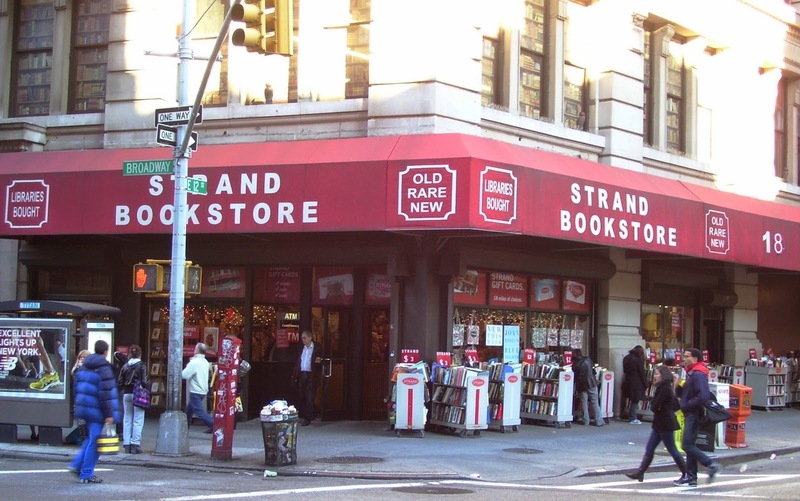 The Strand is the only one that survives. It sits very near its birthplace—just around the corner on Twelfth and Broadway. The founder was a twenty-five year old booklover named Ben Bass. He took $300 of his own money and another $300 borrowed from a friend and opened a shop. He wanted it to be loved by book lovers like him. 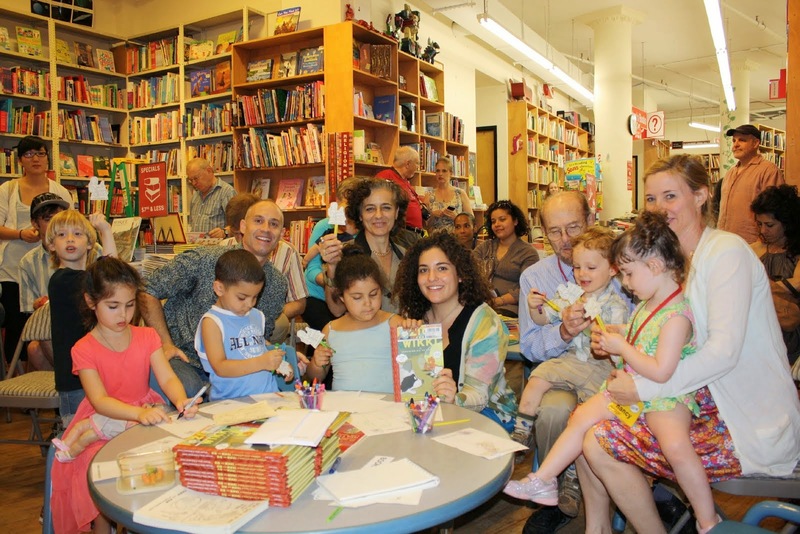 Eighty-six years later, it is beloved by bookophiles all over the world. Ben’s son Fred went into the business when he came home from World War II. Ben’s granddaughter Nancy now runs the place, and has three children waiting in the wings ready to take over. There are many great things about the Strand for me. One of best is that it is only a short block and half from my front door. But I have lived lots of places that were much farther away, and a trip to The Strand was always worth it. 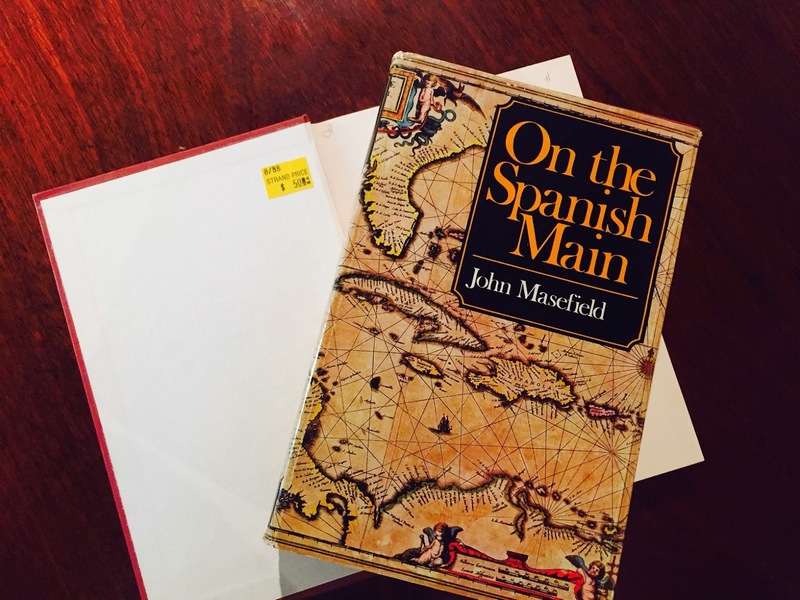 Way before the Internet, when I was just starting my research for historical novels, I had the stacks of the New York Public Library to feed my curiosity. 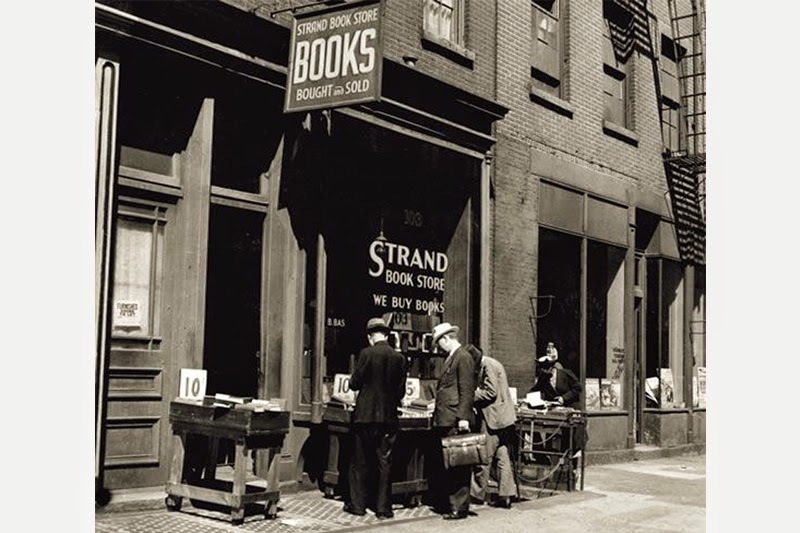 The next best place to go to find a book in New York was then, and is now, The Strand. My shelves are full of obscure volumes with The Strand's yellow price rage in front. The denizens of The Strand include New Yorkers of all kinds. The rare book department, where I like to shop for special gifts. 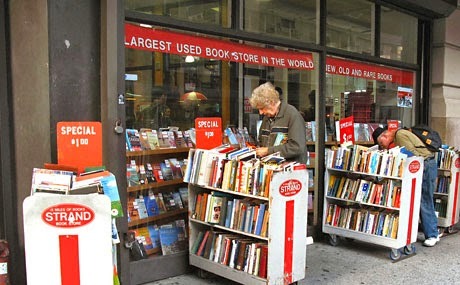 The Strand buys used books from people who walk in. Sometimes they have a station wagon full of cartons out at the curb; sometimes just a shopping bag or two. This means that those eighteen miles of bookshelves carry both old and new books, arranged by subject. So when you get to the South American or African History section, for instance, you will find not only the latest works on your subject, but a potpourri of titles that might go back thirty, forty, fifty years. 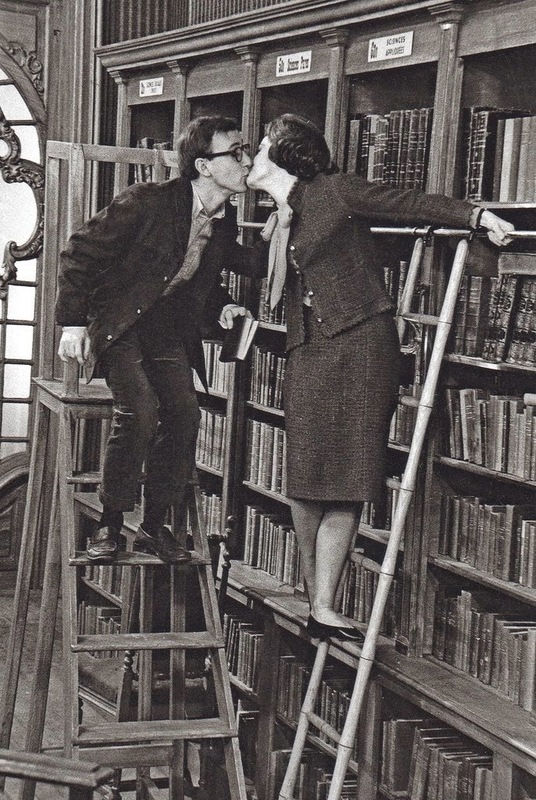 O, the treasures one can find by mounting a ladder and reading the spines! A big New York favorite is the bookshelves on wheels that are rolled out onto the sidewalk each morning. They hold books for a dollar or two. You can pass by and see people browsing them. Some people, I think, just stand there and read the whole book. 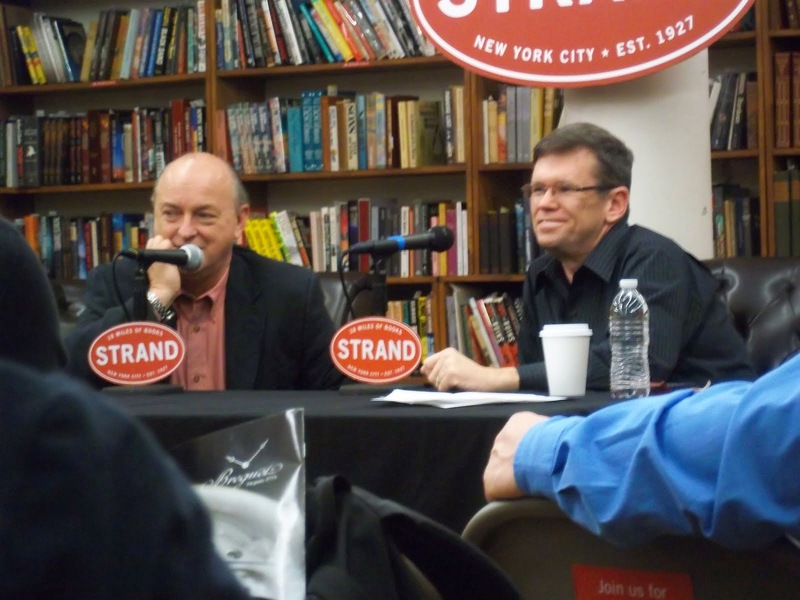 The Strand always has and still does host readings and talks by the city’s intellectual, literary, and artistic lights. 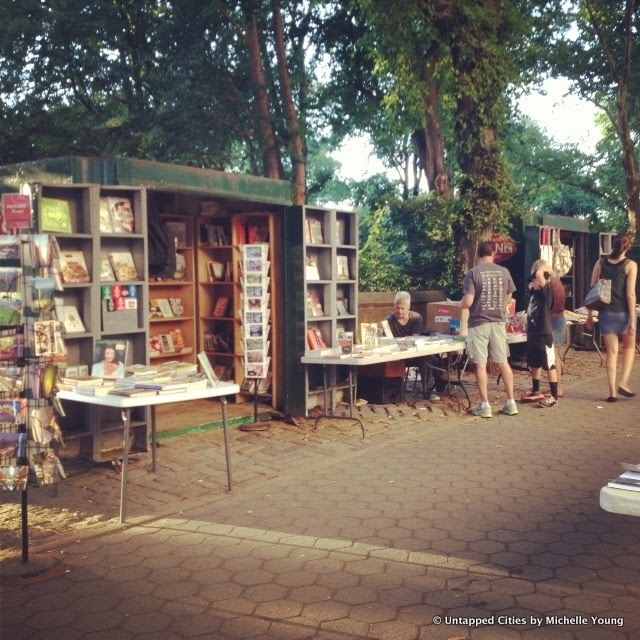 And in the fine weather it keeps an outpost along Central Park so you can buy a book while you walk the dog. 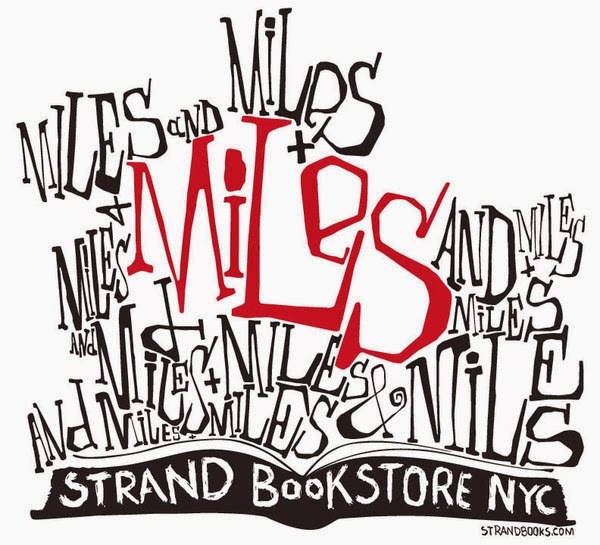 If you are in New York and want to visit The Strand, let me know. It doesn’t have a coffee shop, but I will meet you and take you out for the best coffee in the Village—just a couple of blocks away. Beat that offer, Caro, if you can! Huzzah! We will visit the Strand together, but in the afternoon, after which we will repair to my place for wine and food!!! And arm wrestling, if that becomes necessary. Be sure to visit Powell's when you're in Portland this spring, AmA! I've no idea how it compares to The Strand and Foyles, but it's pretty much an entire large city block, on three levels, with books up the wazoo (and that's just the main store, they also have several satellite stores, including a 'tech' book store that's bigger than most regular bookstores). I'm with you EvK! AA's view of the world is somewhat reminiscent of Saul Steinberg's famous New Yorker cover!! I remember being astonished when I visited the main Powells at being handed a map of how to find my way around the maze. 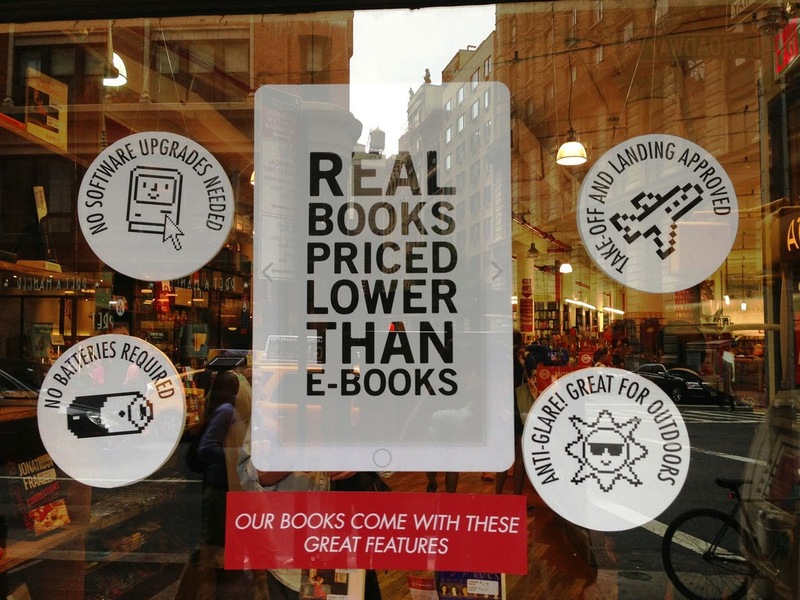 Evka, I will visit Powell's for sure. 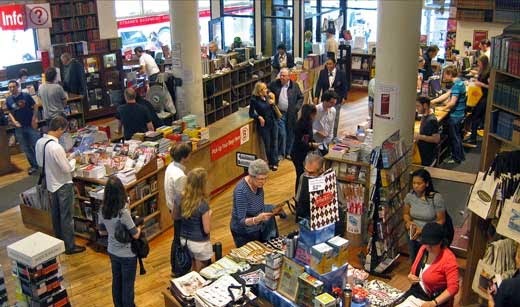 I googled it and found out this: "In 2002, Powell's was cited by USA Today as one of America's 10 best bookstores." I am a little trepidatious about it though. I am not sure I will like a bookstore where one needs a map to find things. My favorite is simpler in that it has people to help one find things. I am NOT afraid of crossing the river, though I am a witch. I am a Sicilian witch. We are fearless. And the first person who makes a nasty remark on this blog about being Sicilian will get a piece of my mind. As for you, Stan. You cut me deeply by accusing me of being parochial. But if I having never been to Portland makes a person parochial in your sight, I guess I am condemned to suffer your distain. I had hoped for more forbearance from you. Ah well. Now I am going back to Nakuru in 1913; my friends there are facing danger and they need me to get them out of it. For 18 years I lived one and a half blocks the other way on 12th Street from The Strand (in the East Village, not AA's chic part of town:)) but in all those years and all my trips to the Strand--and the now long gone vinyl record store next door--I never knew most of the factual tidbits I just learned from AA's post. However, if you want to know about the bars and clubs between the Strand and my place, that's a different story. Please note that I did not mention Sicilian even once. Twice. Ah, Jeff, I too remember the vinyl store. It had moved across Broadway and a bit down Twelfth when I came into the neib seven years ago. It's gone now. Replaced by a pizzeria, one of the many eateries that cater to the hungry NYU hoards. And you know full well that my block only became chic last year when the movie stars starting buying places here. You tempt me to say it only became chic when you moved out and I moved in. But since you are behaving when it comes to pejoratives about Sicilians, I will not say such a thing. Twice. I wandered round there for ages last time I was in Manhattan. A true gem, but I love bookstores of all descriptions. Not like being in a bookstore and asking for the self-help section, and being told, "Well, if we told you, it would kinda defeat the object ..."